Rosatom is also the equipment supplier for the KNPP, whose first two units of 1,000 MW each have already been commissioned. Moscow: New, more advanced and safe fuel will be reloaded into the two running reactors of the Kudankulam Nuclear Power Project or KNPP and also into the subsequent units being built in Tamil Nadu with the technical assistance of the Russian national atomic power corporation Rosatom, according to a senior company official. Alexander Ugryumov, Vice President (R&D) of Rosatom's fuel arm TVEL, told IANS in an interview in Moscow that the company hoped to conclude the final agreements for supply of the new fuel with the KNPP builder, the state-run Nuclear Power Corporation of India or NPCIL. Mr Ugryumov said that at the time of negotiating for units 1 and 2, the company only had the international licence for the UTVS fuel loaded into the VVER-1000 type reactors. "The UTVS fuel was applied to all international projects of Rosatom, including units 1 and 2 of the Tianwan Nuclear Power Plant in China and unit 1 of the Bushehr NPP in Iran," he said. "Now we have the licence to sell TVS-2M which is the reference solution for all power units with VVER-1000 reactors which Rosatom builds abroad. From the very beginning, TVS-2M will be loaded into the reactors of Kudankulam's units 3, 4, 5 and 6." Mr Ugryumov said the TVS-2M fuel assembly offers increased uranium capacity, improved heat reliability and enhanced operational safety, while supply agreements have already been reached in principle. "Upgrading to TVS-2M will help improve efficiency of the Indian VVER units as well as reduce the cost of electricity. Being more robust, with higher stiffness, this fuel bundle does not bow in the reactor and preserves its initial shape, making operations safer and reliable," he said. "While UTVS are packed with 490 kg of enriched uranium pellets, TVS-2M bundles weigh 527 kg. 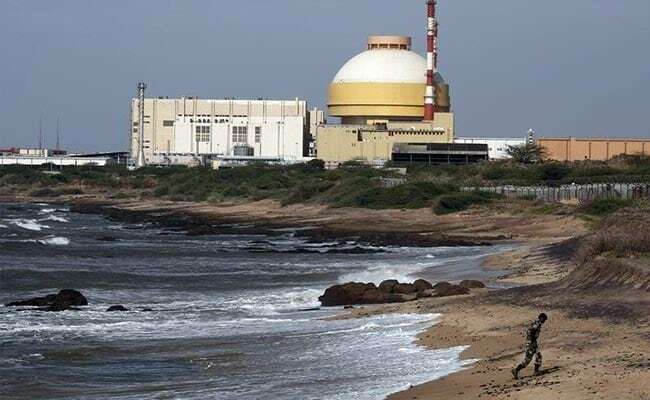 For a nuclear plant operator it gives a lot of options in terms of an extension of a fuel cycle length from 250 up to 510 effective full-power days," the official said. The new solution is also more efficient in terms of economy. "This is because you save the amount of money spent on the scheduled outages, while still providing the highest safety standards," Mr Ugryumov said. "Secondly, with more uranium mass you will need less fuel bundles to generate electricity, so after the end of the operation there will be less spent nuclear fuel." With the expiry of the original 10-year fuel supply agreement for KNPP last year, Mr Ugryumov hoped to have the engineering contract signed this year for the introduction of TVS-2M fuel in the already commissioned first two units at Kudankulam. "We hope that this year we'll have the contract signed for the introduction of TVS-2M for Units 1 and 2. The TVS-2M allows the option of shifting the operations from 12-month to an 18-month fuel cycle," the official said. "With the advanced fuel, we will have three cycles lasting a total of 54 months, instead of the current duration of 36 months," he added. Indo-Russian nuclear cooperation was certain to have figured when Russian President Vladimir Putin invited Prime Minister Narendra Modi for an informal one-day summit at the Black Sea resort of Sochi in the second half of May to discuss the situation arising out of the US withdrawal from the Iran nuclear deal and reimposition of sanctions, which is going to affect Indian crude oil imports from the Gulf nation.